My Brain is Toast. Crunchy, Charred, Toasty Toast. The twelve-step countdown has begun. 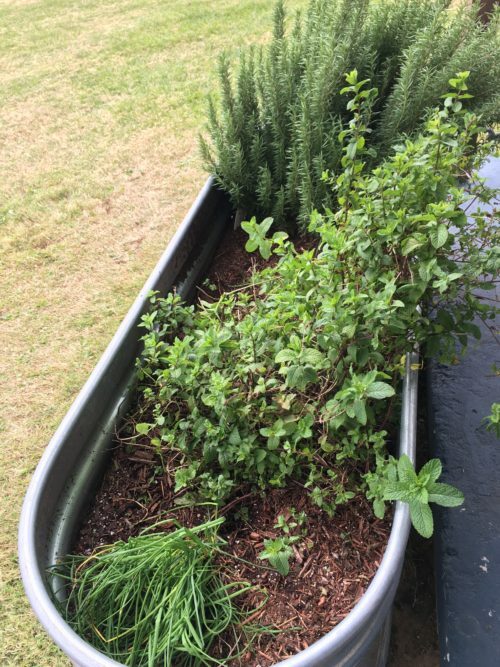 After 2 weeks of long days, I wrapped up the first three of the steps I’d outlined in the previous post. The Realm Below is now much closer to publication. It was two weeks of minimal cooking, minimal laundry (oh, wait—I swore I’d never do laundry again. Dang it! ), minimal errands, minimal everything except working on the book. Yesterday (Monday, August 13th) was a 12-hour workday, but it was worth it. By evening I’d completed step 2 and then I wrote another 700-800 words to tidy up the ending. Time for step 3, firing off the manuscript to The Daughter. With enormous relief, I pushed “send” and staggered away from my desk, collapsing on the living room sofa with the stiff highball Glen had poured me. I was lifting it to my lips when my phone dinged. What’s this? I wondered. Oh, a text from Katie. I read it with the warm expectation that she would tell me how excited she was to finally read it. No. She was requesting a paper copy. I panicked, worrying about even such a tiny delay, since I’d still like to get the book out by the end of the year. Glen offered to print it out the next day and overnight it to her, but luckily, she was thinking a lot more clearly than I was. She decided she’d transfer the document to a flash drive and run it over to Kinko’s for printing. Brilliant! With that problem out of the way, then she told me how excited she was. Which made two of us. So I took that sip I’d been meaning to. Technically it’s only the first part of step 4 that I won’t need to do. Katie’s rereading TSB herself, which means . . . I don’t have to! She’ll catch any inconsistencies that may have slipped in. (She won’t be tearing her hair out on my behalf, though, so I’ll still have to do that.) Her efficiency will give my brain time to recover from writer’s rigor, or, as I like to call it (after just now googling the genitive for conscriptor), rigor conscriptoris. Which brings me to the inimitable Edward Gorey. 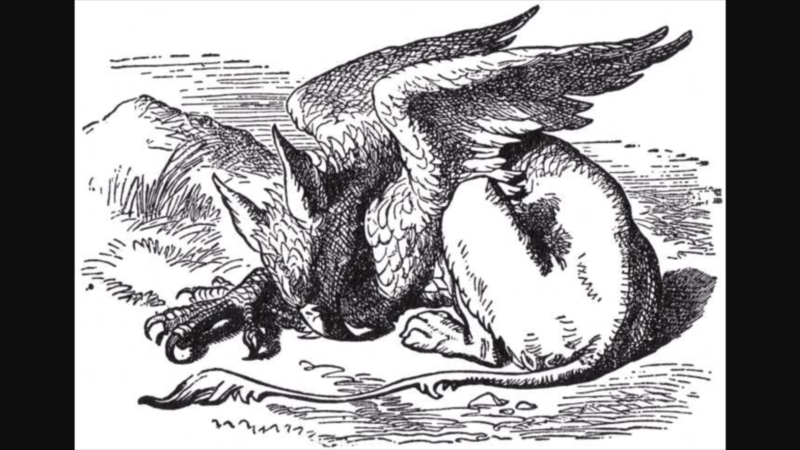 I’ve been a huge fan of his books since childhood, and one Christmas when I’d just ended my first semester of college, my mother gave me The Unstrung Harp; or, Mr Earbrass Writes a Novel. By then I’d been writing short stories (bad) and poetry (worse) for years, slowly improving. But what I longed to do most of all was write a novel. 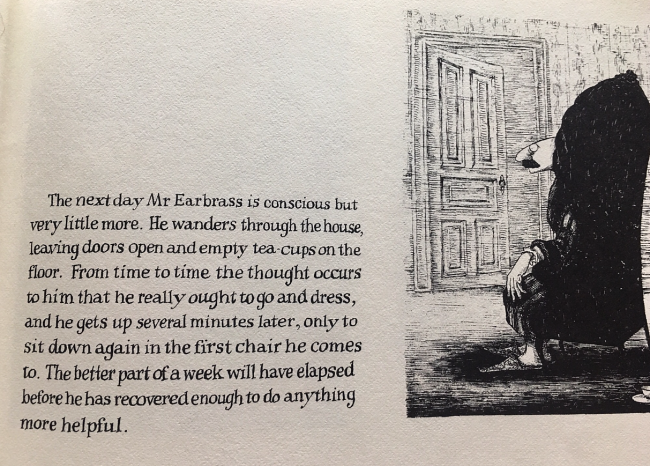 Gorey’s description of Mr Earbrass’s biennial novel-writing method captivated me. 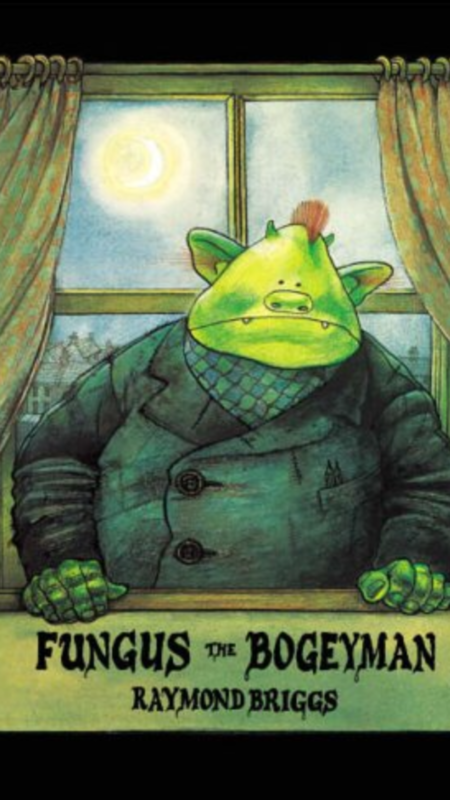 I pored over the book countless times, imagining myself doing as Mr Earbrass does, producing a novel every other year, living the literary life. Decades passed and none of that happened, of course. But . . .
And I realized that was exactly how I felt. Susan Earbrass, signing off until August 30th. In the spirit of thankfulness and counting one’s blessings, these are some of the things I’m grateful for. Not the enormous ones, mind you. This list is not about beloved family, friends, animal companions, or health. I know that’s what we tend to focus on at this time of year, but if we have the self-awareness God gave a yam, we already know the big things to be grateful for. So I have composed a list—completely random, far from inclusive—of much less important things. Things that tickle me, or that I think of with fondness. Small gratitudes that make me thankful out of all proportion to their size. Because if you can have beatitudes, you can have gratitudes, right? 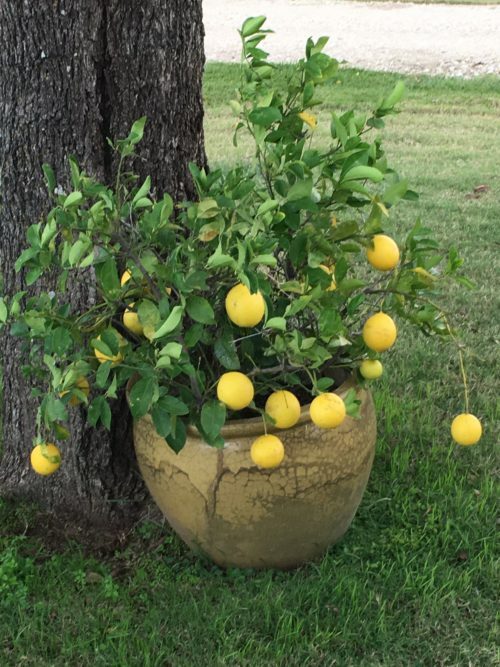 • Meyer, our lemon tree, has produced a record-setting 18 lemons this year (the old record was 15, some years ago). • I carry the recipe for Meyer lemon cream cheese pie in my head—a convenience when I’m at the grocery store. • The great Carl Barks drew and scripted the finest Scrooge McDuck comics in history (illustrated weird fiction, if you will). 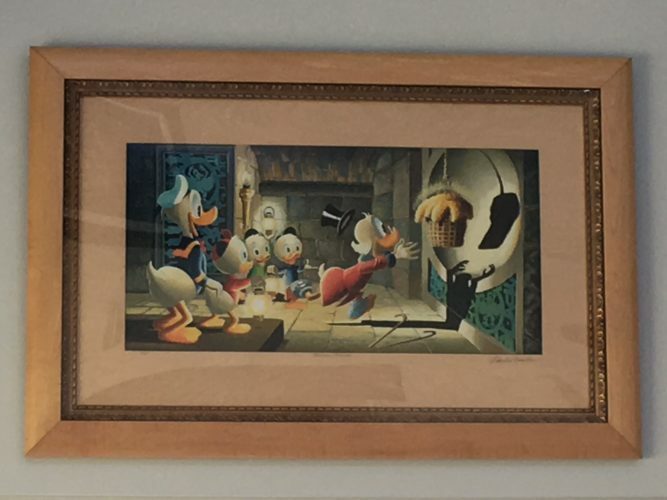 Yes, I do have a Carl Barks Scrooge McDuck lithograph hanging on my wall. • I can pay most bills by phone! • The jury is still out (is too!) on lake monsters. • Eating turkey at Thanksgiving is not mandated by law. Prime rib, anyone? • I never learned to smoke (okay, that one’s a little bigger, but not nearly as big as if I’d taken up the habit and then gone through the agony of quitting). • But I did learn to drink (*ahem* responsibly). • I named our grumpy donkeys Rosencrantz and Guildenstern and Glen didn’t object. 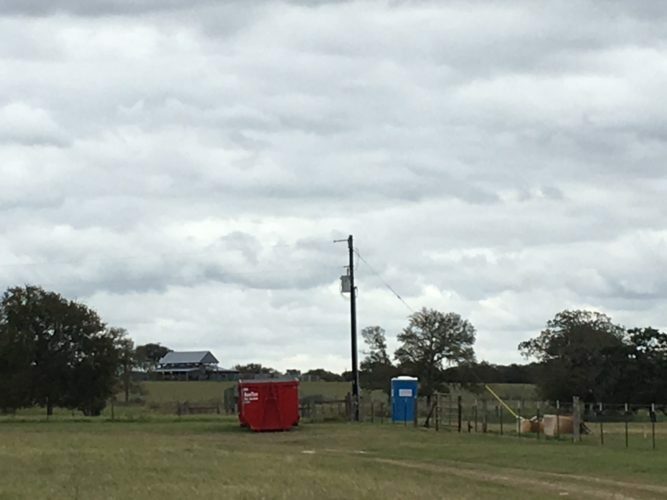 • You know, it’s great the way a dumpster and a regularly-maintained portable toilet can just make a homebuilding site more pleasant for everyone. 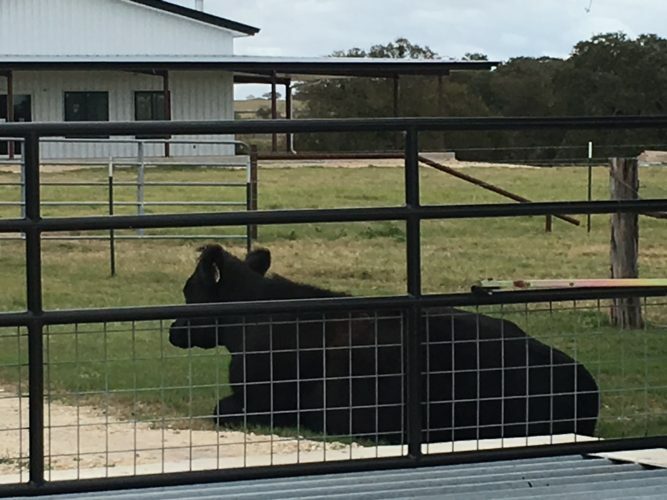 • On the smoker he designed and built himself, Glen makes the best Texas-style brisket and pork ribs I’ve tasted. EVER. • The convenience store/gas station closest to our house sells fishing gear and bait. 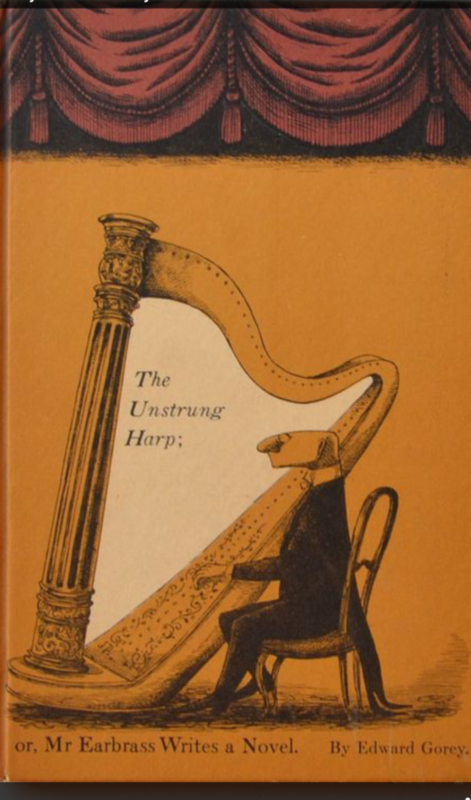 • And here’s what I consider to be the biggest one on the list: I’ve spent hours poring over Edward Gorey’s eccentric, atmospheric, fantastical books, but my favorite of all is The Unstrung Harp; or, Mr. Earbrass Writes a Novel, which my mother gave me when I was a teenager. This book helped inspire me to eventually attempt a novel of my own. May we all have a Thanksgiving full of gratitudes, large and small!